Jesse Maceo Vega-Frey recalls his time with Juanita & Wally Nelson, and his own ambivalent experiences with war tax resistance, in an article for the Boston Review . Here’s a recap of the recent National War Tax Resistance Coordinating Committee gathering earlier this month in Florida. We paid the taxes that bought the war that hired the men and dropped the fire that burned the huts and killed the people who then were the bodies that Scott counted. It’s a rotten thing to brainwash someone into doing the dirty part of the killing while we stay at home. It’s a rotten thing to pretend the war is coming to an end when it’s only taken to the air. And in 1972 if you don’t fight against a rotten thing you become part of it. What I’m asking you to do is take some risks. Stop paying war taxes, refuse the armed forces, organize against the air war, support the strikes and boycotts of farmers, workers, and poor people, analyze the flag salute, give up the nation state, share your money, refuse to hate, be willing to work… in short, sisters and brothers, arm up with love and come from the shadows. National governments are trying to discourage cash, so as to eliminate the sorts of anonymous, untraceable transactions that are difficult to tax. For example, the government of India recently made a surprise announcement that 500 and 1,000 rupee notes would no longer be legal tender after a certain deadline. 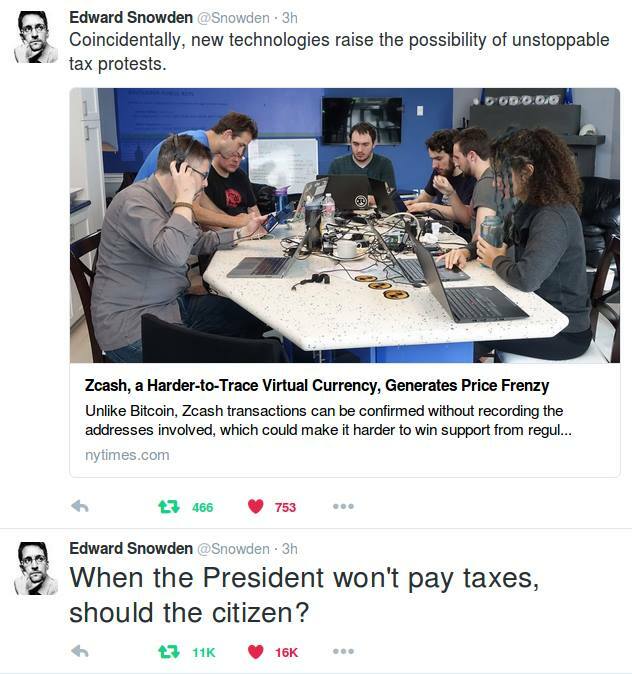 Jeff Berwick, anarcho-capitalist entrepreneur, has encouraged Trump opponents to stop paying taxes and move into the Bitcoin economy. The Treasury Inspector General for Tax Administration says that the IRS has dropped the ball on developing guidelines for pursuing people who use virtual currencies to facilitate tax evasion. Yet, the IRS recently contacted a bitcoin trading company, demanding the identity of all of its bitcoin traders. 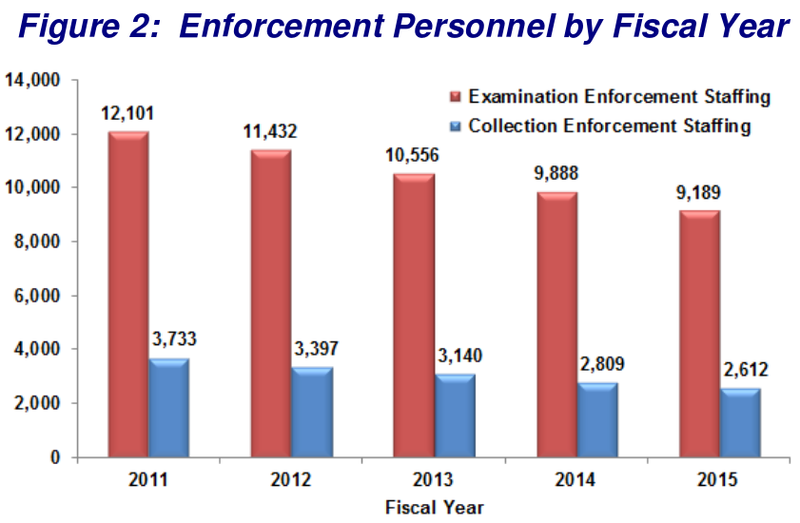 This is from a new TIGTA report on IRS enforcement efforts. This article, concerning another TIGTA report, gives a good indication of how strapped the agency is. Even when shown that there’s money on the table that just needs to be picked up (in this case, high-income people who haven’t filed income tax returns but whom the agency knows about), the IRS complains it doesn’t have enough people to do the picking. The article came to my attention because of this sentence: “He had also been arrested in California for refusing to pay a poll tax.” Hunting through California newspapers from the early years of that century , however, turned up nothing, so this civil disobedience didn’t make much of a splash. I think the California state poll tax was abolished in 1914 , for what that’s worth. Poor morale, shrinking budgets, and an aging, retiring workforce have hollowed out the I.R.S.’s enforcement branch, and it shows. The agency is taking fewer and fewer enforcement actions and as a result, the government is leaving lots of money on the table while the reputation of the I.R.S. as an agency capable of enforcing tax debts is eroding. On this date in 1968, Joan Baez explains why she prefers to have the tax collector seize her money to paying it voluntarily. The Foreign Miners Tax of 1850 was designed to force Mexican and Chinese miners off of their claims in California, but the miners fought back (including, legendarily, one Joaquin Murieta). Also: putting some numbers on Joan Baez’s Vietnam-era tax resistance. Video footage of Joan Baez addressing her tax resistance on this day in 1966. Also: Happy Tax Freedom Day, America.